TV-Serie, 13 (2003)Gunslinger GirlMADHOUSE Inc.
TV-Serie, 25 (2013)Attack on TitanWIT STUDIO, Inc. Web, 10 (2017)Recovery of an MMO JunkieSIGNAL.MD, Inc.
TV-Serie, 12 (2016)Yuri!!! 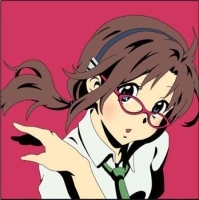 on IceMAPPA Co., Ltd.
TV-Serie, 12 (2013)Beyond the Boundary: Kyoukai no KanataKyoto Animation Co., Ltd.
TV-Serie, 12 (2013)Free! : Iwatobi Swim ClubKyoto Animation Co., Ltd.
TV-Serie, 10 (2013)Fate/Kaleid Liner Prisma IllyaSILVER LINK. Manga, 1/4 (2010)REC: Der Tag, an dem ich weinteShuueisha Inc.